PAI members Vickery Holman hosted their 8th annual market review events this month. Three events were held across Cornwall and Devon which provided an overview of the local markets across the region. The events saw local property surveyors providing their expert opinions on how the South West markets have been performing over the past 12 months and gave predictions for the coming 12 months. 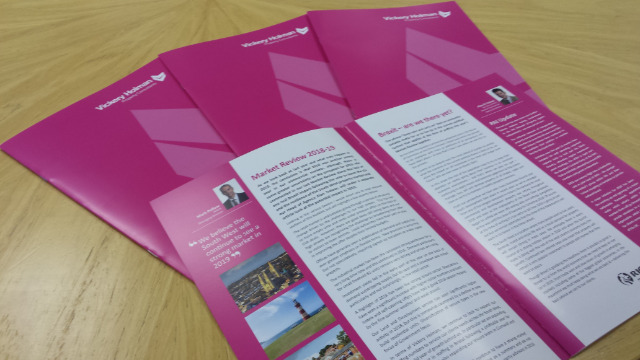 In conjunction with the events, a supporting Market Review booklet can be downloaded here. The events were in high demand and each event was fully booked and attended by local business professionals, who were looking to obtain inside knowledge on the retail, industrial, office and investment deals transacting within the industry. The development sector and planning obligations were also presented as well as issues impacting the leisure market. With the potential impact of Brexit to businesses, there has never been a better time to establish connections with a local commercial property expert who can support you through the trials of commercial property ownership.